The Wayne County Community Foundation recently held its Scholarship Program. Winning the William E. Schwarz Memorial Scholarship sponsored by the Dime Bank is Timothy Brown. Tim is a graduate of HHS and will study Diesel Technology at Johnson College in the Fall. Photo l. to r.: Bill Boyle, Dime Bank, Tim Brown. Carter Terysen is shown received the James Rowe and Alice Box Memorial Scholarship at the Wayne County Community Foundation Scholarship Program. Lilli Millon, a graduate of Western Wayne, is shown receiving the Drs. Philip and Rosita Liu Scholarship in the amount of $2000. 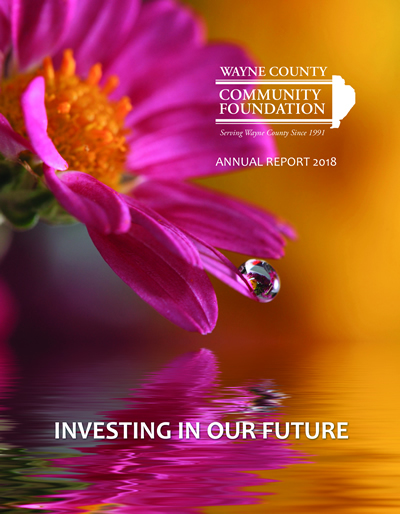 On June 21, 2018, the Wayne County Community Foundation held its annual Scholarship Program. Jamie Lesek. Receiving the Kelley Lalley Memorial Scholarship was Noah Pender.